An investment by the Victorian Government will see Sunshine North’s Jigsaw Childcare Centre offer an additional 36 places in its four-year-old kindergarten program. An old inaccessible concrete channel in Sunshine will be transformed into a network of revegetated open space in a major coup for the local community. 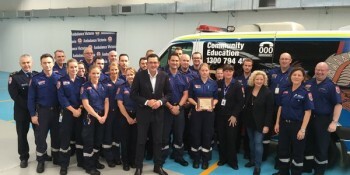 Melbourne’s biggest ambulance station is open for business, with the new, state-of-the-art Sunshine branch officially opening its doors today. More police will begin to be redeployed back to the beat as Sunshine Police Station today welcomed its first custody officers.